July 29 is National Chicken Wing Day, and there’s no better way to celebrate this finger lickin’ good food than with a plateful tasty wings (and maybe a napkin or two). While quite a few Chandler restaurants serve chicken wings, here are some of the best. A local favorite wing chain, ATL Wings serves theirs both traditional bone-in and boneless with a dry rub, hot sauce or BBQ sauce. Rub varieties include ATL style, lemon pepper, ranch, garlic parmesan and garlic pepper while hot sauces range from mild to toxic. If you prefer sauce, choose from BBQ, honey habanero, honey mustard, citrus chipotle, teriyaki and more. Wings come with homemade blue cheese or ranch dressing and can be rounded out with sides ordered separately like fries, cheese fries, beans or homemade biscuits. If the wings get too spicy, douse the heat with fountain drinks or Kool-Aid on tap. 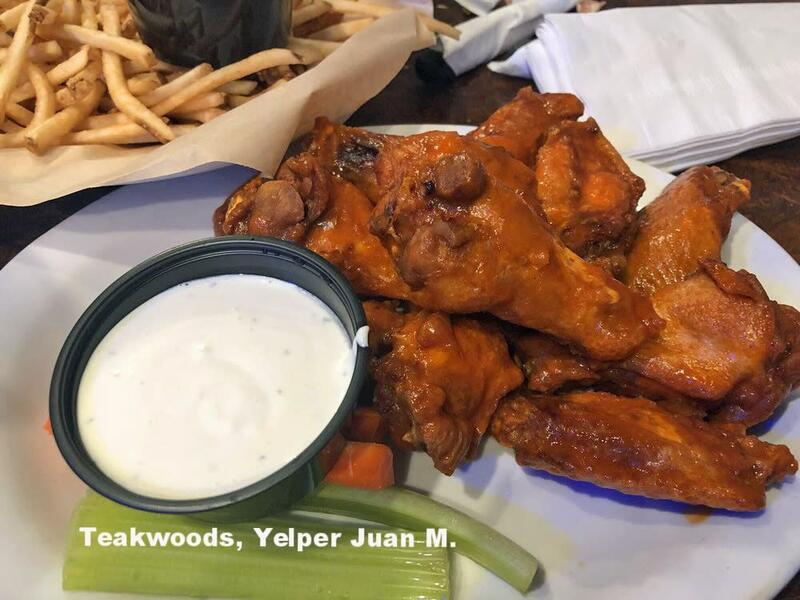 Awarded the title of “Best Wings” in the Valley by the Phoenix New Times, Teakwoods Tavern & Grill fries up fresh bone-in and boneless wings, then tosses them in your choice of sauce: mild, medium, hot, suicide, honey BBQ, honey BBQ hot, honey hot or teriyaki. For a $1 more, you can sample one of their specialty flavors like cactus (medium wing sauce mixed with prickly pear, garlic and cilantro) and raspberry inferno (raspberry glaze with fresh habaneros). Pay $1.50 more to try the sticky sauce wings, Teakwoods’ spin on the Korean spare rib. This local favorite sports bar specializes in pub grub, so it’s no surprise it does wings right. Choose between bone-in or boneless wings, fried or grilled. Then, decide on how much heat you think you can take: regular, hot, extra hot or nuclear. Finally, pick your sauce. Options include original Buffalo, Cajun, honey hot, lemon pepper, Jamaican, honey mustard, parmesan garlic, roasted garlic, teriyaki and Thai peanut. Wings at The Hungry Monk come with complimentary house-made ranch or bleu cheese dressing. Enjoy yours with a pint of craft beer from local breweries like SanTan Brewing Company and Four Peaks Brewery. While Porkopolis may be known for its BBQ pork, wing aficionados make a pilgrimage to the original Chandler location for smoked chicken wings. Each order features 10 juicy wings in a flavorful dry rub that enhances the smokiness of the meat. Order the wings for an entrée or to share before digging into smoked meats, BBQ ribs, blackened catfish, smoked meatloaf, ribeye and other hearty dishes. Louisiana Fried Chicken & Wings claims its owner perfected a chicken recipe he personally received from New Orleans chef Paul Prudhomme. Whether true or not, the Chandler restaurant knows its chicken. That includes wings. The restaurant sells bone-in and boneless wings in orders from six to 96 pieces. Flavors include plain, mild, hot, medium hot, honey BBQ, lemon pepper, Asian, teriyaki ginger and spicy honey garlic with a few fun additions like salt and jalapeno. SanTan Brewing Company dishes up some of the tastiest pub food of any craft brewery in Arizona. Its wings are no exception. The pub-style wings come dressed in your choice of Buffalo, pineapple habanero BBQ or Cajun sauce with bleu cheese or ranch dressing on the side. Carrots and celery are available on request. Add an order of buttermilk onion rings or basket of ale-battered fries paired with the award-winning Mr. Pineapple or flagship brew, Devil’s Ale, for a tasty meal. If you prefer IPAs, the HopShock IPA perfectly offsets spicy wings. An Irish bar probably isn’t the first place that comes to mind when you think wings, but Murphy’s Law has some of the tastiest in downtown Chandler. The bar smokes, then fries, its wings before tossing them in its special Jameson Irish Whiskey wing sauce. While you can still order your wings in a Buffalo sauce, you’ll be missing out if you do. Murphy’s Law has craft beer to accompany its wings as well as an extensive whiskey menu featuring Bulleit, Jack Daniel’s, Knob Creek, Maker’s Mark, Woodford Reserve and others. Also downtown, The Local Chandler is the go-to for craft Arizona brews from SanTan Brewing Company, Four Peaks Brewing Co., Huss Brewing and others. Its yummy wings can be fried or baked, then tossed with Arizona heat, moderately mild, Devil’s Ale or teriyaki honey sauce. Pair your order with fries, onion straws or other sides for an individual meal. Or better yet, order a second appetizer like fried cheese curds or blackened chicken nachos, and share both appetizers with a friend. This local chain’s wings are gaining a well-deserved following thanks to its tasty sauces. 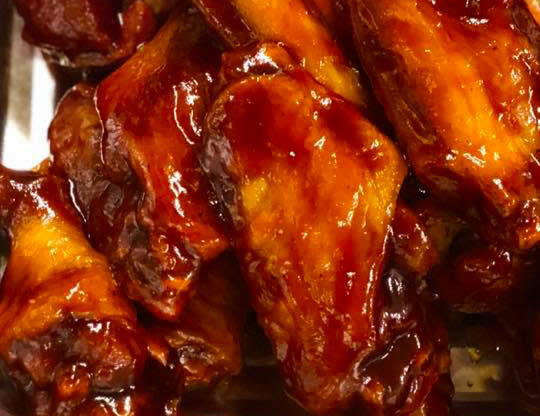 Like most other wing joints, Lucky Lou’s American Grill gives you the option to munch on bone-in or boneless wings, but for an additional $1.50, you can get the wings grilled or get an order of all paddles or all drummies. Once you’ve decided on the type of wings you want, sauce them up with teriyaki, parmesan, mild, medium, hot, spicy BBQ, honey BBQ, honey hot or 911. 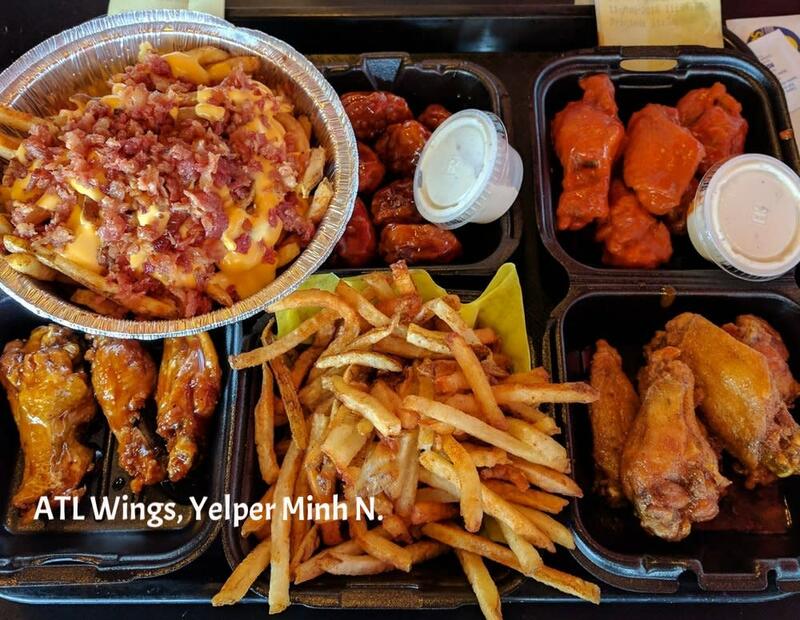 In addition to orders of nine, 12 or 14 wings, Lucky Lou’s offers a wing combo—six wings with fries or onion rings—that makes the perfect National Chicken Wing Day meal. This aviation-themed restaurant sells half pound and full pound servings of its tasty wings. Get yours with a dry rub or opt for one of the sauces ranging from mild to fire. Or, sample a creative flavor like sweet chili, bourbon Buffalo or PB&J. Hangar 9 Bar & Grill also gives you the option to order just flappers or drummies, substitute boneless wings, or have yours grilled for a $1 more, and it has a great happy hour Monday through Saturday 2 p.m. to 7 p.m. that includes $2 off wings.